Let’s Talk Valentine’s Day Lips! Let’s Talk Valentine’s Day Lips, shall we? I posted about this fun lip combo for NYE, but really felt like it needed another glance for Valentine’s Day. The combo of Ruby and Gold is stunning. The B. Ruby was a limited edition shade that was SOOO popular, the company brought it back for the permanent line… But I don’t hear nearly enough about this shade. It is red, without being too crazy red, and while my skin tone tends to fair better with warmer colors, this just tones so nicely to my pale skin and (paid for) bright red hair. Another benefit to using a naturally minded, mineral pigment lip color.. it tones to everyone’s unique skin perfectly! I think the addition of the Gold Glitter Gloss just warms the color up enough for me. You should really try this combo if you haven’t yet! And ruby will always and forever remind me of The Wizard of Oz.. you better believe I wanted to have a pair of ruby shoes. 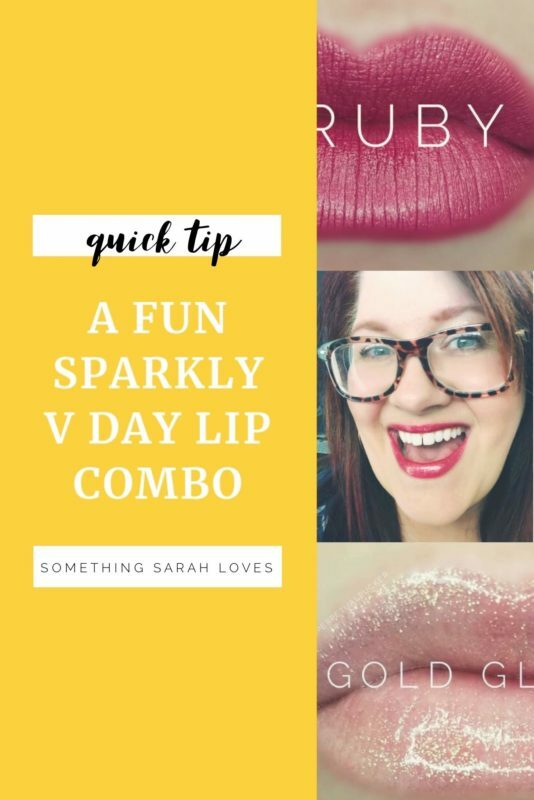 I never did get those sparkly shoes, but my lips can take center stage with this combo I like to call… Golden Ruby. And you know this won’t kiss off, right? Maybe you don’t know about magic, stay all day lip color, but LIPSENSE IS MAGICAL. As always, shoot me a message if there is anything I can do for you!